$9.49 & FREE Shipping on orders over $59. 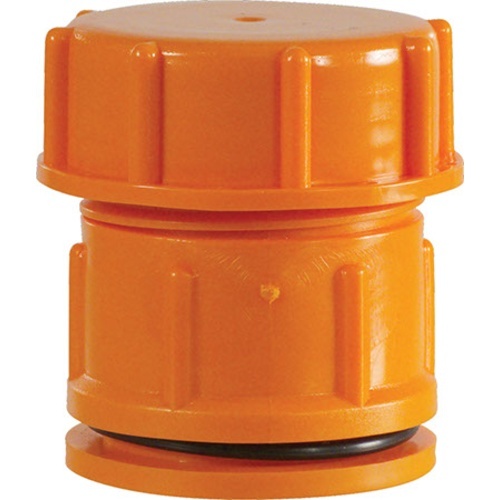 Replacement orange airlock for Speidel Variable Volume Tanks. Fits tanks from 100L through 910L in volume. Hope this will fit some Itallian tanks that have sub-par airlocks. Nice if you-all would publish the dimentations of the airlock. My cap broke too. But it decideded to break 3 weeks after my tank was open. I agree with the others on how cheap its make. If you plan any long term storage, save yourself the headache and put a 10 1/2 rubber stopper in. Our airlock broke in the same exact place as the above picture in the other review. As a result we lost 25 gallons of wine because we didn’t realize the cap had broken. The bottom part had fallen into the wine tank and the top was sitting loosely over the opening. Gnats got to the wine. It happened really fast and it is a sad day indeed. I've broken 2 of these so far in the exact same way. The way this works is that the bottom 2 pieces screw into each other clamping around the metal lid. Since this sits under the level of the wine it needs to be tight in order to prevent leaking. The top lid piece also screws on. 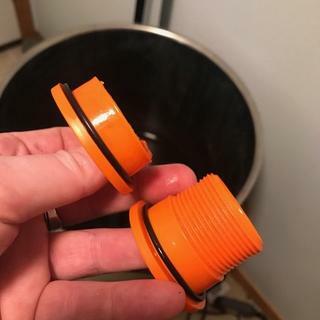 The cap has a gasket in the top of it to make a tight seal. The problem is when you try to unscrew the lid the bottom part will come unscrewed as well. The bottom threaded part is really thin where the threads start. That is the place it has broken both times for me. They need to make this part thicker and it would probably solve all the issues i have with it. It can't handle the stress of being tight and will split at the threads eventually.